We offer many different types of Notary Seals. 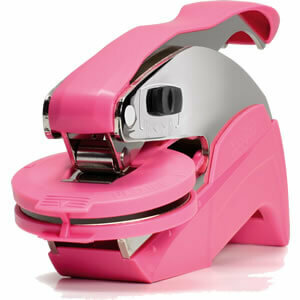 From the Basic Handheld seal to the new Hybrid Embosser, we're sure to have one you like. If you are unsure of which embosser is the right choice for you, Contact Us and we will be happy to give you a range of options to best meet your individualized needs. We will be there for you every step of the way! Relying on our thorough understanding of your needs, we offer handheld notary seal embossers that are guaranteed to meet state standards. 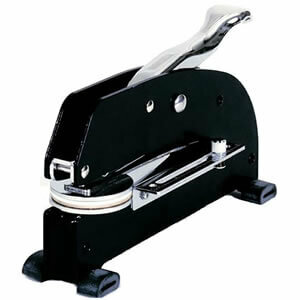 We offer an extensive range of notary embossers. 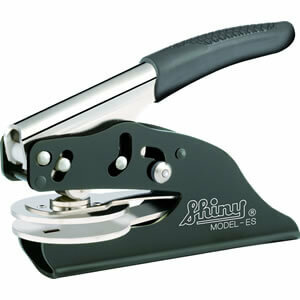 The soft grip notary embossing seal has a rubberized grip on the handle making it easier to hold and squeeze. 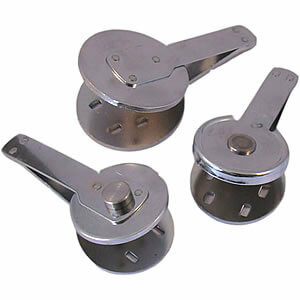 We offer soft grip seals in a variety of sizes and specification at economical prices. The desk notary seal's heavy duty frame and precision parts are designed to produce impressions with minimal effort for the finest impressions every time. The Pink Hybrid Notary seal is a fun and innovative way to create a detailed impression with minimal effort. The latest engineering techniques and significant force reduction of the hybrid seal press enables crisp and clear embossing on almost any document! 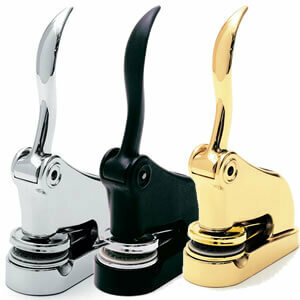 The Black Hybrid Notary Seal's intuitive and sleek design allows for a clean impression every time. 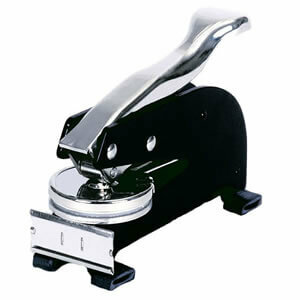 This seal press can sit on a desk or even be used as a hand held seal. 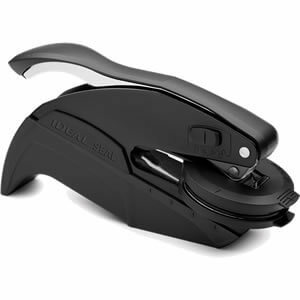 The Heavy Duty Long Reach Embosser has the same functionality as our desk notary seal yet adds a longer reach for crisp impressions up to 2-1/2" from the edge of the document. The durable frame and precision workmanship of this Heavy Duty Extended Long Reach Notary Seal ensures that the quality will be long-lasting and satisfactory to your needs. 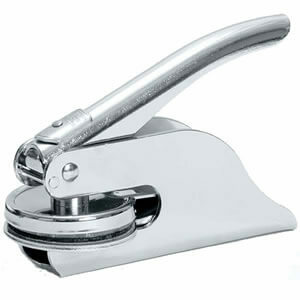 Gentle pressure on the handle is all you need to get through your heaviest of workloads. Compared to a traditional desk or long reach seal embosser, this seal's 4-1/2" reach can accommodate embossing in the center of an 8-1/2" wide piece of paper! These attractive gift notary seals not only look great on your desk but are also guaranteed to get the job done! With experience in all 50 states and beyond, we designed these notary seals with revolutionary mechanism and the end user in mind. Have you ever wondered what to do if your commission has expired or your name has changed? Our state-approved, chrome-plated nickel Replacement Embossing Clips are designed to be a replacement insert for your current seal handle. 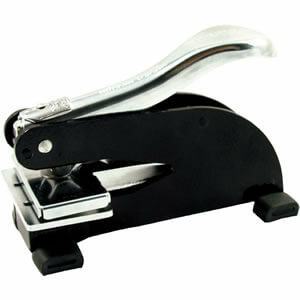 We carry inserts for just about every embossing seal handle out there. Why Shop for your Notary Seals with Us? Along with our products, you're sure to enjoy our extremely fast order shipping and delivery service! We work hard to try and deliver all custom orders within 24 to 48 hours, serving you with notary supplies as quickly as possible. We are proud to claim that all our products are manufactured in USA using top quality raw materials and manufacturing processes all the while integrating green, environmental friendly solutions to the products. We promise you'll love ordering from us. We provide excellent customer service. All Notary Seals are backed with a lifetime warranty, along with a 100% notary board guarantee!